Every year, J.D. Power tells us about problems with three-year-old cars, so we can get a basic idea of long-term reliability (or, as they put it, dependability — a word invented by Dodge Brothers marketers). Lately, GM has been doing quite well in these reviews, and this year was no exception. Buick topped the non-premium list as the best brand, with five-dot overall, powertrain, and body/interior ratings, failing only on features and accessories (three dots). For individual car classes, Toyota was the big winner, winning six of nineteen classes — but GM was right behind, winning five (and, as you can see in the chart above, Toyota was only the #5 brand, behind both Buick and Chevrolet, not to mention Hyundai and Kia). No other automaker won more than two classes. The sweetest win for GM was probably having the Chevrolet Silverado triumph over the Ford F-series and Ram x500 pickups, given how important pickups are to all the domestic automakers. The Silverado also beat the Toyota Tundra. Fiat Chrysler did not have a good showing. 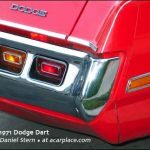 One can point to the nine-speed automatics as dragging down Jeep and Chrysler, and there were problems with the Dodge Dart in particular and the 8.4 stereos in all the cars and trucks that had them, as well. Along with Subaru and Mitsubishi, Fiat Chrysler anchored the bottom of the list, with Jeep, Fiat, and Chrysler taking last place. FCA can at least look forward to climbing up the list when the 2019 listings come out — showing their 2016 lineup. Lexus won the premium class, followed by Porsche; bottom place, as tradition has it, went to Land Rover. Despite GM’s general excellence overall, Cadillac ended up second to last, barely edging out Land Rover. Audi, Mercedes, and Acura held down middle places.